WASHINGTON — No matter which party ultimately triumphs in the November midterm elections, here is one thing we know for sure about 2018: It will be the Year of the Woman — supercharged. “As of last week, 325 women were non-incumbent candidates for the United States House, along with 72 female members seeking reelection, according to data compiled by [the Center for American Women and Politics at Rutgers University]. 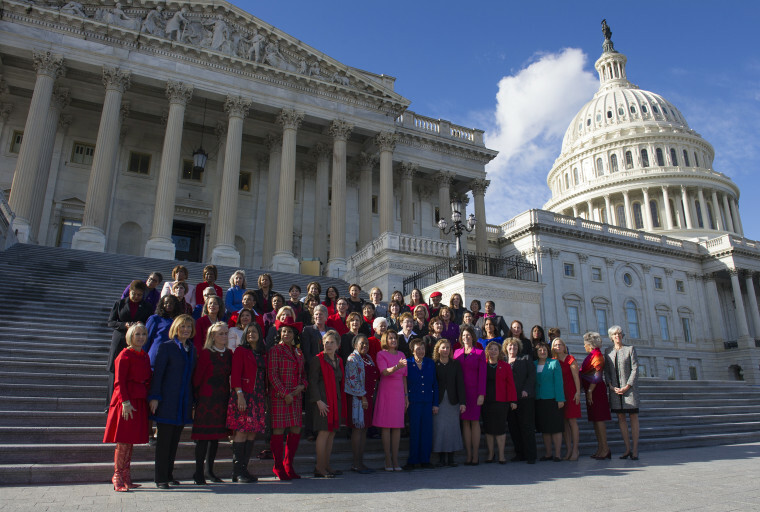 Thirty-eight women not currently serving in the United States Senate are aiming for the upper chamber, along with 12 incumbents running again. And 75 women have set their sights on the nation’s governorships — plus four female incumbents fighting to keep their seats,” one of us wrote over the weekend. By comparison: “In 2016, a high water mark for female candidates overall, there were 167 female major party nominees for the United States House and 16 for the Senate — well fewer than half the number of candidates vying for one of those spots now.” The 1992 “Year of the Woman” ushered in two dozen new women to the U.S. House and four to the U.S. Senate a year after the Clarence Thomas-Anita Hill hearings. The high-profile women running for office this year include the three (Kyrsten Sinema, Martha McSally, Kelli Ward) in arguably the top Senate contest of 2018 (Arizona); one of the biggest names for governor (Democrat Gwen Graham) in one of the most important states in the country (Florida); two who are competing in maybe the most contentious Democratic gubernatorial primary (Stacey Abrams vs. Stacey Evans in Georgia); and big names in other key Senate contests (Claire McCaskill in Missouri, Republican Marsha Blackburn in Tennessee and Jacky Rosen in Nevada). But Clinton’s tweets didn’t address why she kept Strider on the campaign.